American astrophysicists who announced just months ago what they deemed a breakthrough in confirming how the universe was born now admit they may have got it wrong. The team said it had identified gravitational waves that apparently rippled through space right after the Big Bang. If proven to be correctly identified, these waves -- predicted in Albert Einstein's theory of relativity -- would confirm the rapid and violent growth spurt of the universe in the first fraction of a second marking its existence, 13.8 billion years ago. The apparent first direct evidence of such so-called cosmic inflation -- a theory that the universe expanded by 100 trillion trillion times in barely the blink of an eye -- was announced in March by experts at the Harvard-Smithsonian Center for Astrophysics. The detection was made with the help of a telescope called BICEP2, stationed at the South Pole. After weeks in which they avoided the media, the team published its work Thursday in the US journal Physical Review Letters. In a summary, the team said their models "are not sufficiently constrained by external public data to exclude the possibility of dust emission bright enough to explain the entire excess signal," as stated by other scientists who questioned their conclusion. The team was led by astrophysicist John Kovac of Harvard. BICEP2 stands for Background Imaging of Cosmic Extragalactic Polarization. "Detecting this signal is one of the most important goals in cosmology today," Kovac, leader of the BICEP2 collaboration at the Harvard-Smithsonian Center for Astrophysics, said back in March. By observing the cosmic microwave background, or a faint glow left over from the Big Bang, the scientists said small fluctuations gave them new clues about the conditions in the early universe. The gravitational waves rippled through the universe 380,000 years after the Big Bang, and these images were captured by the telescope, they claimed. For weeks, some scientists have expressed doubts about the findings of the BICEP2 team. David Spergel, a theoretical astrophysicist at Princeton University, queried whether what the BICEP2 telescope picked up really came from the first moments of the universe's existence. "We know that galactic dust emits polarized radiations. 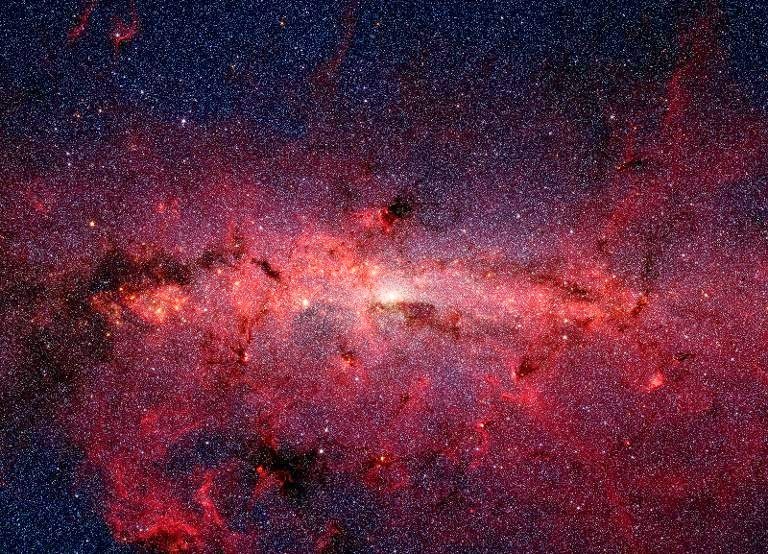 We see that in many areas of the sky, and what we pointed out in our paper is that pattern they have seen is just as consistent with the galactic dust radiations as with gravitational waves," Spergel told AFP last week. He said the question will likely be settled in the coming months when another, competing group, working with the European Space Agency's Planck telescope, publishes its results. That telescope observes a large part of the sky -- versus the BICEP2's two percent -- and carries out measurements in six frequencies, compared to just one for BICEP2, according to Spergel. "I think in retrospect, they should have been more careful about making a big announcement," he said.